Day school at Darlington can impact the rest of your life. Our private pre-K to 12 day school program offers an unparalleled, child-focused education that's centered around your strengths so you'll be ready for college and beyond. 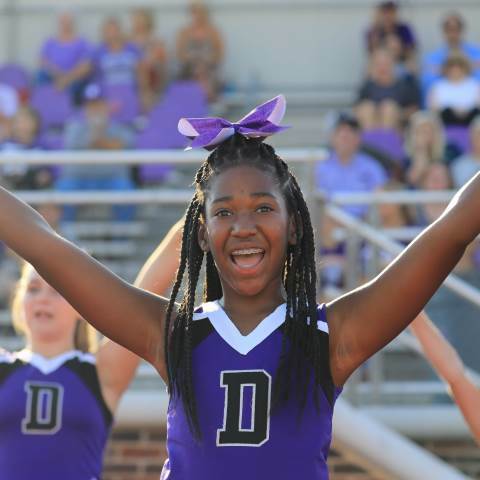 Get the details on tuition at Darlington and see how a private high school education can enrich your life. There are many financial aid programs and options available that put a Darlington education within reach. Our expansive bus service provides safe, reliable transportation for many day school students. Get detailed answers about life as a day student at Darlington School. Refer a student that you think would be a perfect fit for Darlington's day school. Applying to Darlington School's day school program is easy. Get detailed information on admission requirements for applicants in pre-K to 5 and grades 6-12. Request in-depth information about admission, academics and all things related to Darlington's day school program. The best way to see yourself here is to plan a visit. Reach out today and explore our beautiful Rome, Ga., campus for yourself. Fill out and submit an application for admission to Darlington School. Complete an application today and set your future into motion.